Christopher McCrudden is Professor of Human Rights and Equality Law at Queen’s University Belfast and William W Cook Global Law Professor at the University of Michigan Law School. 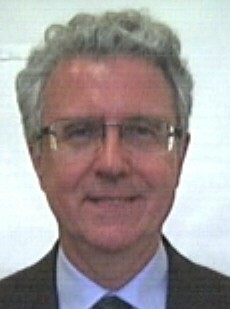 Until 2011, he was Professor of Human Rights Law at the University of Oxford, and a Fellow of Lincoln College, Oxford. He studied law at Queen’s University Belfast, Yale University, and Oxford University. He holds a first law degree from Queen’s, an LL.M. degree from Yale, two doctorates from Oxford University (a D.Phil and a DCL), and an honorary LL.D. from Queen’s. From 2011 to 2014, he held a Major Research Fellowship from the Leverhulme Trust. In 2013-14 he was a Fellow at the Straus Institute at New York University Law School. In 2014-15, he was a Fellow of the Wissenschaftskolleg zu Berlin, and is currently Chair of its Advisory Committee. He is a practicing Barrister at Blackstone Chambers in London, and has been called to both the Northern Ireland Bar and the Bar of England and Wales. His main research focus is on human rights law. Currently, his research deals with the foundational principles underpinning human rights practice. He was awarded the American Society of International Law’s prize for outstanding legal scholarship in 2008. Professor McCrudden is a Fellow of the British Academy and (from 2018) a Member of the Royal Irish Academy.